The JAY Duo™ Cushion is designed for optimal comfort and increased user function with a lower overall reduces seat height. 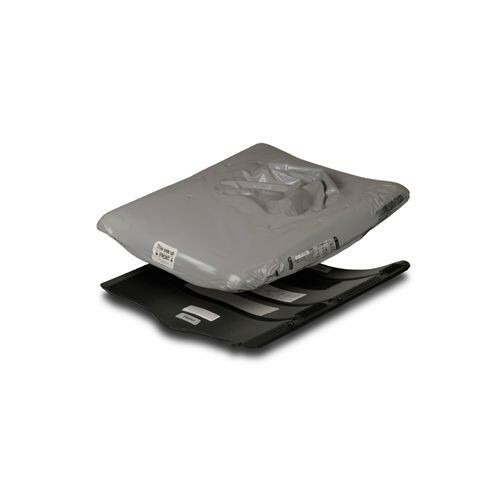 The dynamic contoured two-layered wheelchair cushion by Sunrise Medical starts with a curved and solid base layer which replaces sling wheelchair upholstery. This helps maintain a level surface with the seat rails. This lower seat height enhances independence and makes transfers easier. 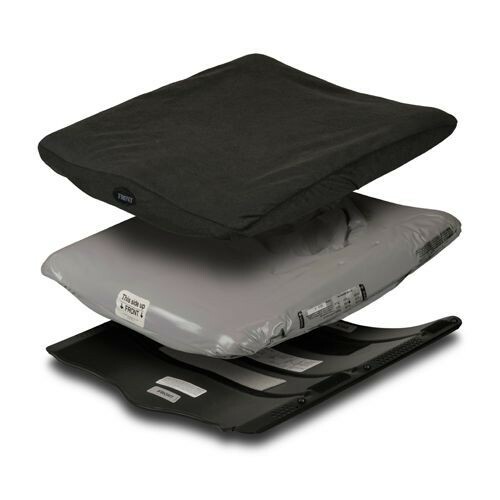 The Duo™ foam cushion layer mounts to the base with Velcro strips. The foam is mildly contoured to nestle into the base and create proper positioning support of the pelvis and thighs. 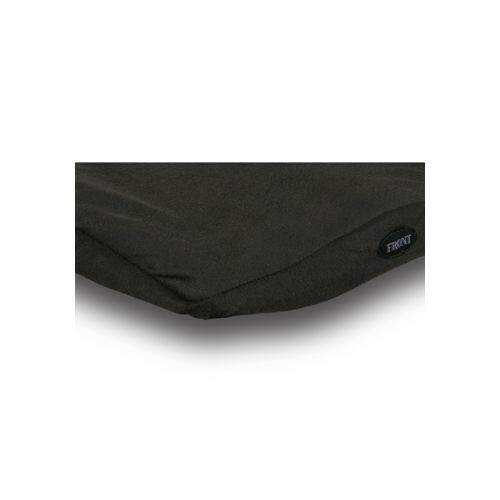 A JAY Flow insert is part of the foam cushion and is positioned to take the pressure off the bony prominences. This adds extra comfort and support in prevention of skin breakdown. The fluid insert is adjustable to individual sitting positions and can be kneaded to its original consistency should firmer pockets form. The Duo is protected with a stretchable stretch suede fabric that's removable for washing. It's recommended to perform monthly maintenance to extend the life of the cushion. The suede cover is machine washable in warm water and can be hung to dry or tumble dried on low heat. To clean the foam base, do not submerge in water, but simply wipe down with a moist cloth. For your convenience, two suede covers come with the cushion which is helpful when one is being laundered. The Duo Cushion as two base pan options, a standard or narrow pan. The narrow pan works well on Quickie Wheelchairs. 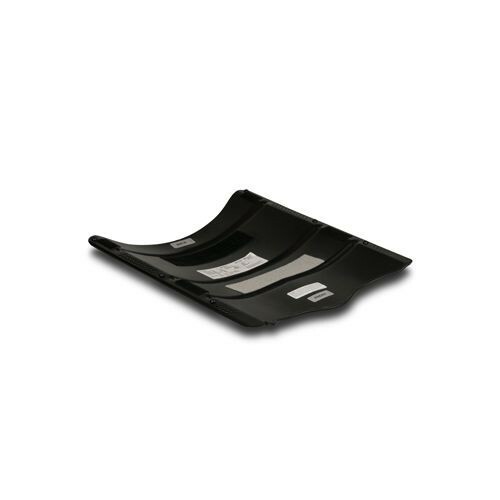 When selecting a narrow pan base style, the seat rail insert strips must be purchased as well.